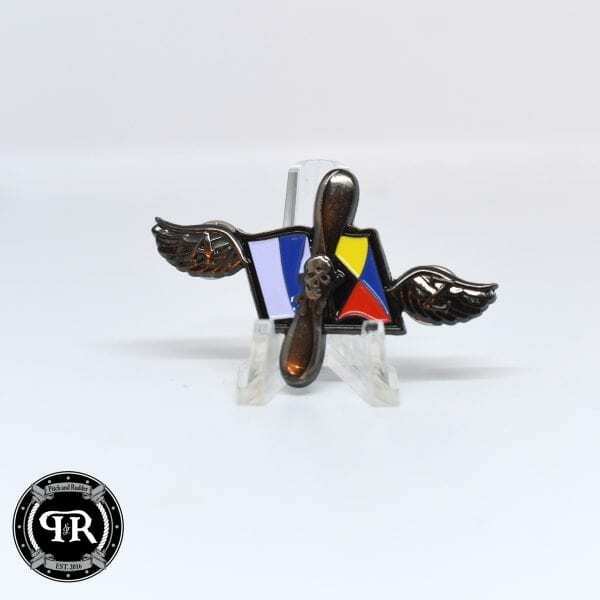 Our AZ lapel pin is a small pin that can be worn on clothing, often worn on the lapel of a jacket or a hat. 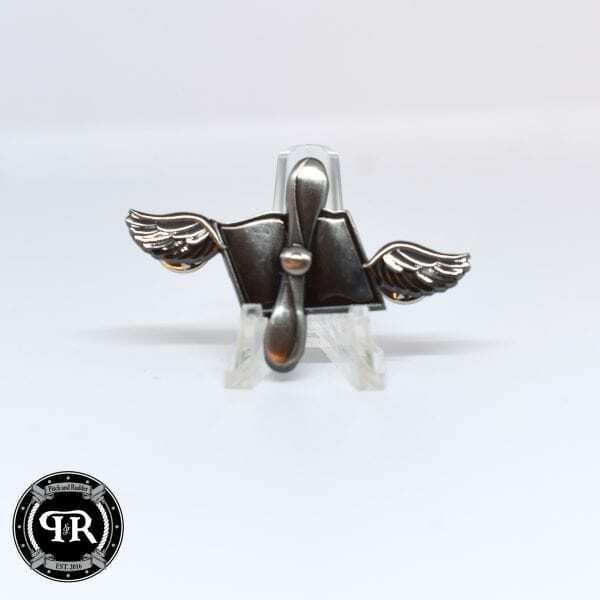 Sometimes called a hat pin, Pitch and Rudders AZ Lapel pin is designed to be worn to indicate wearer’s affiliation as an Aviation Maintenance Administrationman in the U.S. Navy. 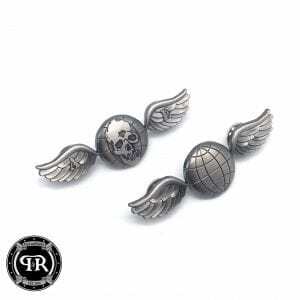 Pitch and Rudders AZ Hat pin comes in two different variations, one with an Alpha and Zulu flag on the book with a Skull and the other as a standard Naval rate emblem. Wear your pin with pride knowing we own all that the sun touches on the flight line! Know that in your hands you have a product that’s designed by a team of Active Duty and Retired Senior Chiefs. We designed with you in mind! Our AZ lapel pin is a small pin that can be worn on clothing, often worn on the lapel of a jacket or a hat. Sometimes called a hat pin, Pitch and Rudders AZ Lapel pin is designed to be worn to indicate wearer’s affiliation as an Aviation Maintenance Administrationman in the U.S. Navy. Pitch and Rudders AZ Hat pin comes in two different variations, one with an Alpha and Zulu flag on the book with a Skull and the other as a standard Naval rate emblem. 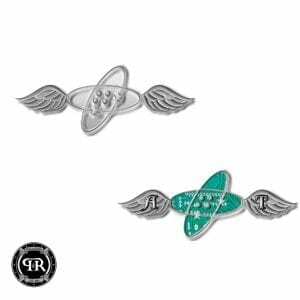 The Aviation Maintenance Administrationman was established as a rating in 1963. The Navy’s computerized personnel system associates the rating name with an alphanumeric Navy Occupational Specialty (NOS) code. For AZ, the NOS is A440. Aviation Maintenance Administrationmen perform a variety of clerical, administrative, and managerial duties necessary to keep aircraft maintenance activities running smoothly and efficiently. AZ’s plan, schedule, and coordinate the maintenance workload, including inspections and modifications to aircraft and equipment. The rating requires close communication with all other aviation maintenance ratings. Aviation Maintenance Administrationman class “A” school is 11 weeks long, and it is located in Meridian, Mississippi. The AZ rating requires a 60 month (5 year) service obligation for those leaving for boot-camp in Fiscal Year 2019 and beyond. 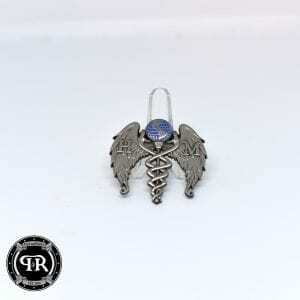 Making custom Lapel Pins is one of our specialties. . If your interested in getting a more Custom Pin for your Team, Company or Organization we’ve streamlined the process, click the get started link at the bottom of the page and some one from our design team will be with you within 48 hours to bring your vision to life. When your working with us, we want to be as transparent as possible if your looking for shirts, your going to be working with Chuck’s Team, If your working with metal you will be working with Terry’s Team.